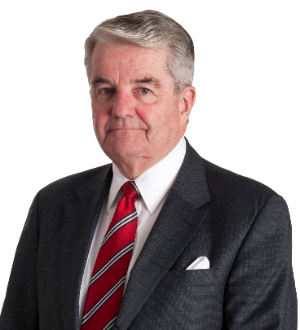 Robert J. Muldoon, Jr. is a former managing partner of Sherin and Lodgen, co-chair of the Professional Liability Group and a member of the Litigation Department. He has represented numerous national and international corporations in commercial litigation, and has extensive experience in the defense of legal malpractice cases, life sciences and pharmaceuticals, land use and development and other real estate issues. Bob was law clerk for the Hon. Paul G. Kirk, Supreme Judicial Court of Massachusetts from 1965-1966.